John began his second epistle proclaiming his love for “the chosen lady and her children,” a love he shared with those who know the truth (2 John 1:1). From the reports he had received, he understood that these believers were following the teachings of Christ. He summed up this kind of lifestyle in the exhortation to “love one another” (1:5), a clear reference to the great commandments of Jesus—to love God and love your neighbour (Matthew 22:36-40; John 13:34). Our love is dependent on our obedience. When we don't obey, we don't love. Often we get in the mindset that our obedience to God affects only ourselves. But that simply is not true. Our actions, whether obedient or disobedient, have ripple effects far beyond our own limited vision of a circumstance. 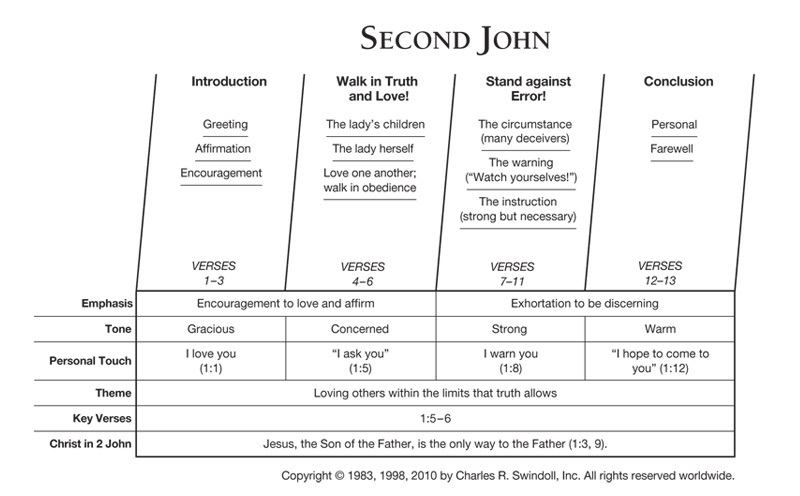 Find resources in the book of Second John in our resource library.